Jendar is the heart of our organization. Her passion brought us together to envision a space that brings artists from different backgrounds, disciplines and locations together to create new artistic works for the Salt Lake City community. Jendar grew up in San Juan, Puerto Rico in a family of musicians and artists. She took ballet, studied opera, and while visiting Europe became intensely interested in the visual arts. These experiences during her youth started a life-long passion to share with others the impact that arts education can have. Jendar holds a master’s degree in Museum Studies from New York University. 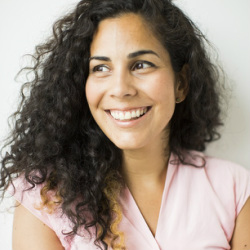 She has worked at museums, galleries and arts organizations in New York City, Italy, Puerto Rico and Utah. She is really excited to be a part of The Art Haus SLC and to help bring the best of contemporary art to Salt Lake City. Sara is the soul of our organization. And Sara brings us SOUL! Her optimism and quick thinking keep us moving forward at a rapid pace to bring the best work to Salt Lake City. With her extensive performance art background on an international level, Sara brings a wealth of knowledge and experience to our team. Sara has been studying theatre and movement for many years, which has led her to study and research physical theatre techniques around the world. Her work has been presented in Texas, Utah, NYC, and London, UK. She holds a master's degree from Central School of Speech and Drama in London. As a writer, Sara's work has been broadcast on international television and she was recipient of the Vera Mae Hinckley writing award. Sara's goal is to bring artists of various disciplines from around the world together to create interdisciplinary events. Anne is the brains of our organization. From constantly setting up excel spreadsheets with funding information, tracking expenses or researching new technologies to use for our programs, she keeps our organization running on the right track. Anne studied Arts in Education at Harvard Graduate School of Education, where she received a masters of education. While there, she discovered a passion for discovering ways to integrate technology into the arts learning process. Before studying at Harvard, Anne worked with one of New York City's largest arts organizations for multiple years, coordinating city-wide events for educators from all over the five boroughs. 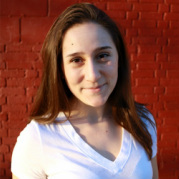 Currently, Anne is a performing artist in the Boston area and enjoys dancing with Snake Dance Theater. Our organization is multi-faceted but all elements are geared towards emphasising the arts in the Salt Lake City community. Staff of The Art Haus SLC offer community workshops that draw from their own experience and through that of collaboration of other artists. We are eager to experiment with interdisciplinary art forms to engage in conversations about spirituality, myth, and culture.